New! 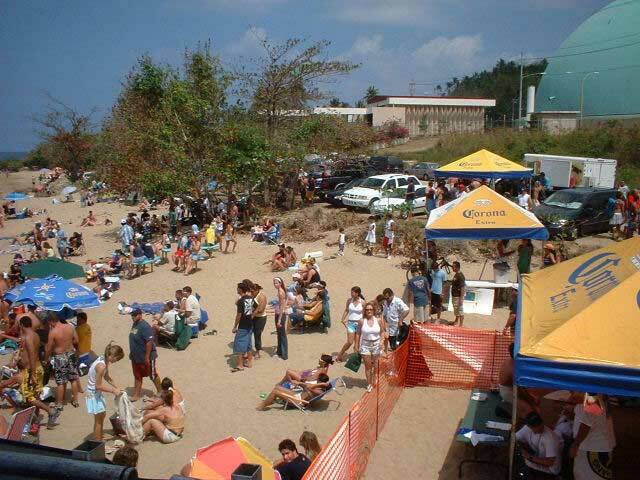 Submit YOUR surf photos of Rincon! Surfing in Rincon, Puerto Rico! 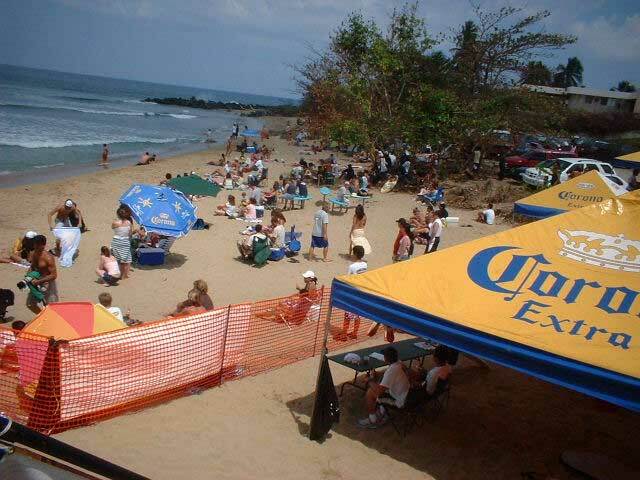 The West Coast of Puerto Rico, the Fun Coast of Puerto Rico! 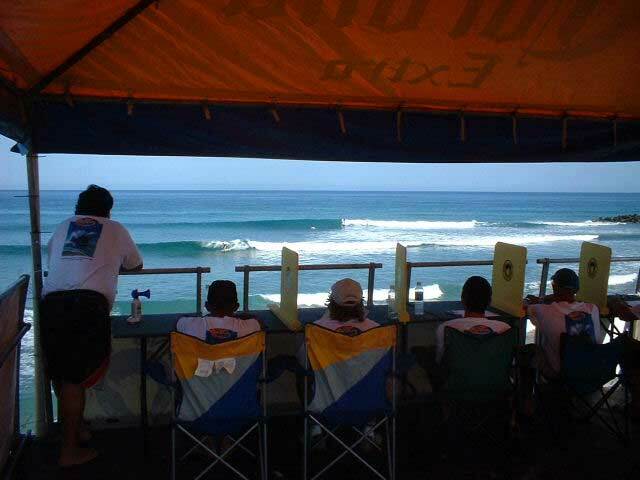 Surfer or spectator, you will love these images! Make us your next vacation destination. 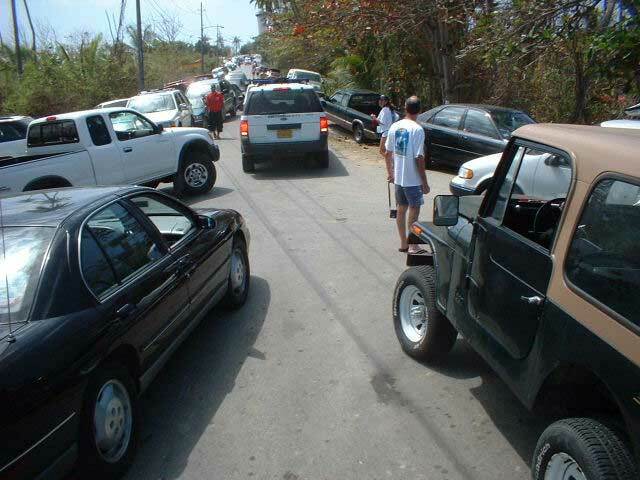 Rincon Puerto Rico, World Class Surf Since 500,000 BC! 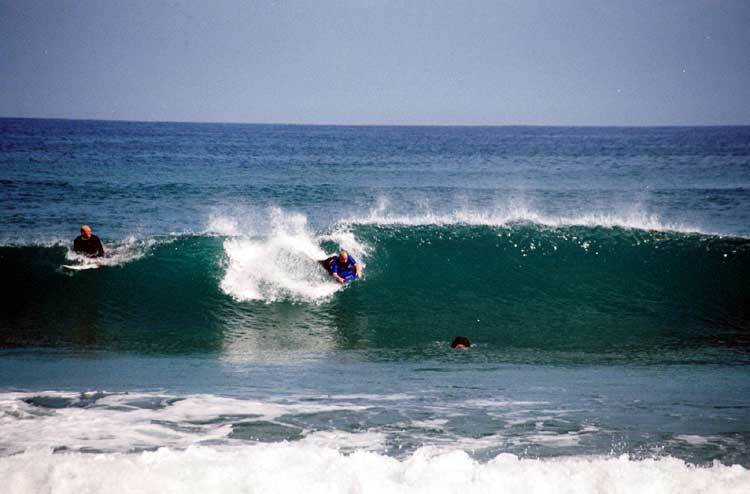 Above is Dylan Graves working out the surf in Isobela, PR. Now! 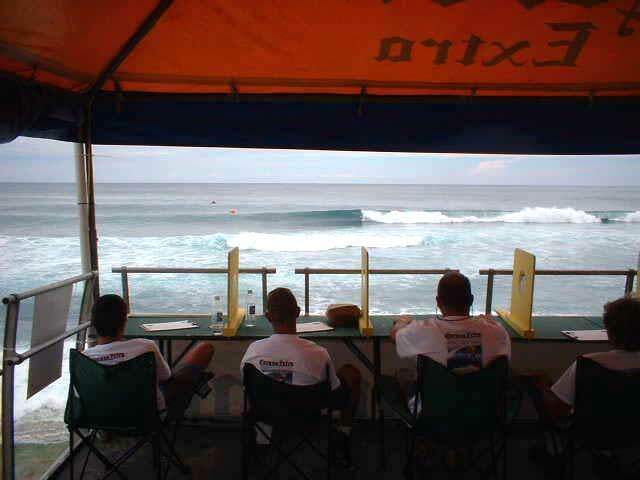 More photos from Tom Luker of the Surf Contest from the judges stand. Use Back Arrow to come back to this page. The Italian TV producer takes a break. Attack from the air! A self propelled buzzes the contest! 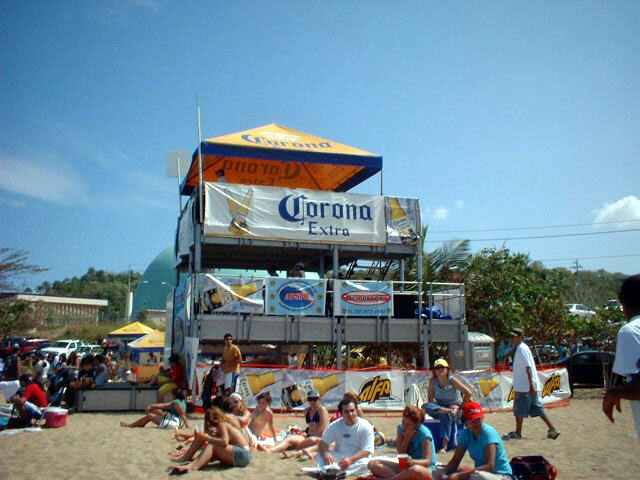 The next event for the Corona Extra is set for February At Playa Domes in Rincon. Watch for the adds. The view from the judges table. 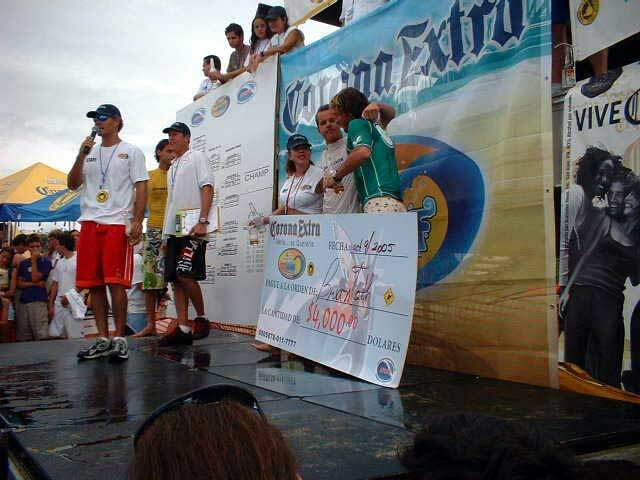 And it seemed that everyone in the world came to surf, compete, or watch! And more photos submitted by visitors!